WhatsApp is an instant messaging service that allows users to send messages to each other, send pictures, videos, and other media. It also allows users to post a ‘story’ that stays up for 24 hours, an undeniable Snapchat clone. WhatsApp was acquired by Faceboook in 2014, and since then it has seen staggering growth. 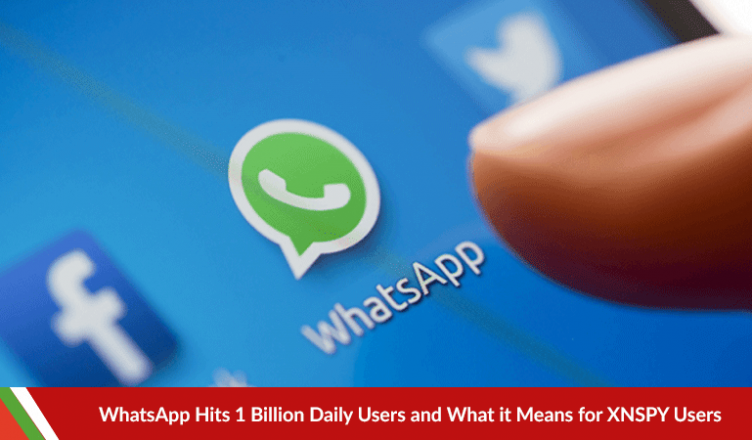 At the time Facebook acquired WhatsApp, it only had 315 million daily users. WhatsApp as of 2017’s second quarter’s earnings has reported 1 billion active daily users. WhatsApp has also reported that users send over 55 billion messages to each other daily, and 4.5 billion pictures and 1 billion videos. WhatsApp is not as popular in the US as a messaging service but despite that one out of every seven people on the planet use the instant messaging app. The app is available in 60 different languages. The free to download app has taken over traditional SMS messaging because of its user friendly user interface and its multiple features, not found in traditional texting. WhatsApp Status, the latest feature in WhatsApp that was an undeniable move to capture the Snapchat market by cloning it’s most recognized feature, has already gained WhatsApp 175 by May and 75 million users in only 2 months. Instagram (also owned by Facebook) with its stories feature had 200 million daily users and Snapchat, who made the stories feature, lags far behind with 166 million daily users. Facebook knows the reach all of its platforms possess. Facebook, Instagram, Messenger and WhatsApp all have extensive potential for ad revenue. Instagram has increased ads and Facebook already is an ad hub, but now the ads are being extended to Messenger. The ads in Messenger is still in testing phase, as ads will be soon displayed between individual conversation threads. This move seems seem like a smart one from a business point of view, but Facebook has a system called “ad-load” where a platform can display a number of ads before it starts getting intrusive of annoying. Last year, Facebook had warned it’s investors that it has maxed out its ad load. To increase its ad load, Facebook has now started showing ads in the Messenger app. WhatsApp might not see the same fate as WhatsApp CEO, Jan Koum, promised that the app would have “absolutely no ads interrupting your communication” when Facebook bought it in 2014. With 1 billion daily users, the need for WhatsApp Spy has increased tenfold. With so many people using WhatsApp now, users, parents and anyone who is weary of the app needs to take advantage of WhatsApp Spy now more than ever. With WhatsApp Spy, users can track incoming and outgoing messages, user are able to track any pictures that are transferred and any media that is exchanged. Videos are also easily traceable. With WhatsApp enormous growth, it’s wise to have a sort of back to have when something bad happens. See Also: How to Spy Whatsapp on iOS and Android? The Blue Whale Challenge: Is It a Myth or Reality?